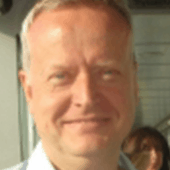 Henrik Lumholdt is the founding partner of Inside Economics, a top-down financial consultancy. He was until recently the Chief Investment Strategist for Spain’s largest asset management company, BBVA AM. Previous positions include Chief Economist for Bank of America, Spain, Head of Fixed Income Research at FG/Merrill Lynch, and Senior Economist at Nordea Bank. An adjunt professor of economics and finance at IE since 2001, Henrik has a keen interest in economics and its application to both finance and business in general. A member of the work group for international economics of Spain’s think tank, El Real Instituto Elcano, Henrik spends a considerable part of his professional time focused on international economies markets and. He holds a B.Sc. Econ. and a M.Sc. Econ. from the Copenhagen School of Economics.